India’s central bank cut its key interest rate by a quarter of a percentage point on Wednesday, raising hopes of lower borrowing costs for households as inflation ebbs. 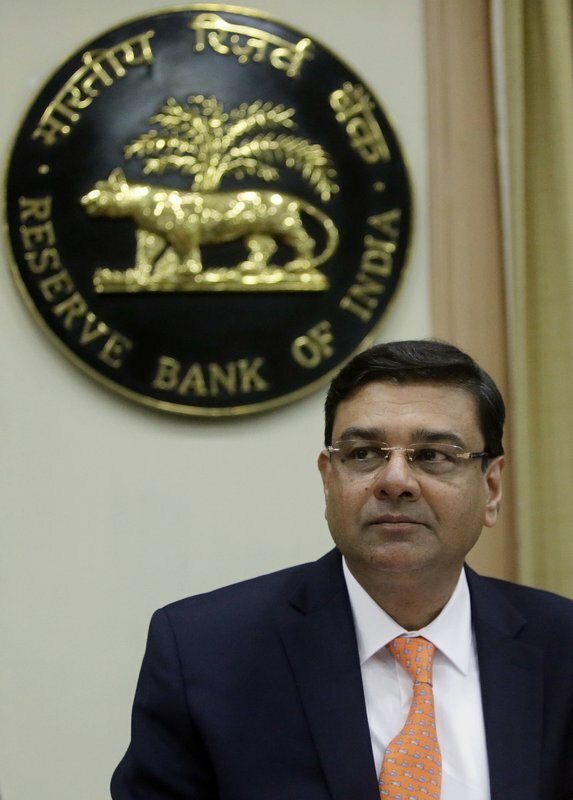 The announcement by the Reserve Bank of India reduced to 6 percent its repo rate, the interest rate it charges on lending to commercial banks. India’s inflation rate declined to a record low of 1.54 percent in June, while the annual rate of growth in factory output fell to 1.7 percent in May from 8 percent in the same month a year earlier. Most industrial groups had been pushing for an interest rate cut to help boost the economy by lowering the cost of borrowing. Central bank Gov. 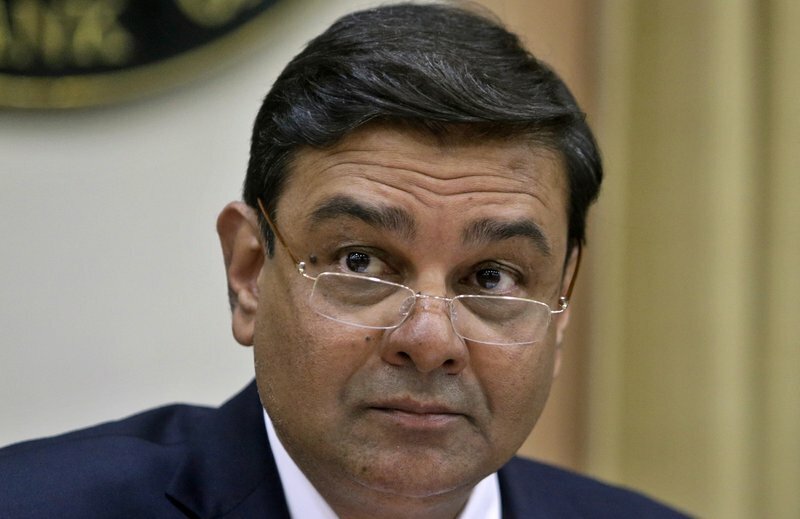 Urjit Patel, who heads a six-member monetary policy committee, told journalists that the cut in borrowing rates was expected to invigorate investments and provide a push to the prime minister’s key scheme to provide housing. The decision followed the government’s shock decision in November to withdraw from circulation the country’s highest-value currency bill and a nationwide tax overhaul launched last month. The central bank is working with the government to resolve stressed corporate borrowings and recapitalize state-owned banks, Patel said. 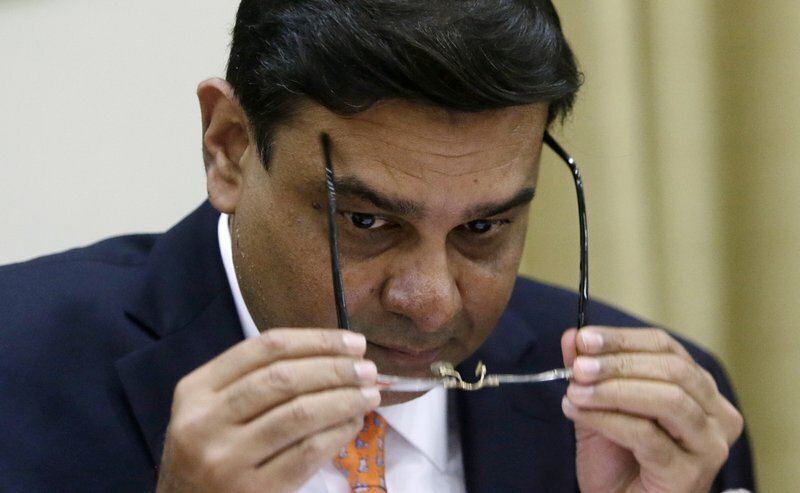 Reserve Bank of India Governor Urjit Patel, holds his spectacles during a press conference in Mumbai, India, Wednesday, Aug. 2, 2017. India’s central bank Wednesday cuts its key interest rate by a quarter of a percentage point on Wednesday, raising hopes of lower borrowing costs for households as inflation ebbs. A sweeper cleans the street outside the Reserve Bank of India’s headquarters in Mumbai, India, Wednesday, Aug. 2, 2017. India’s central bank Wednesday cuts its key interest rate by a quarter of a percentage point on Wednesday, raising hopes of lower borrowing costs for households as inflation ebbs. 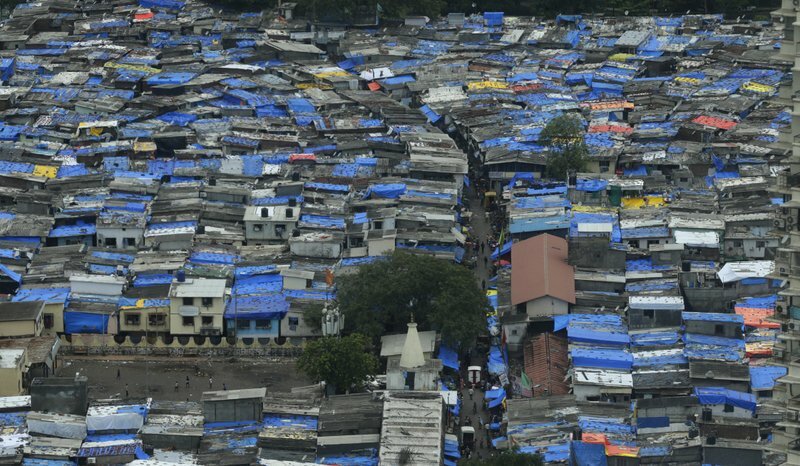 In this Tuesday, June 13, 2017, file photo, roofs of shanties are covered with plastic sheets as protection against monsoon rains in Mumbai, India. India’s central bank has cuts its key interest rate by a quarter of a percentage point, raising hopes of lower borrowing costs for households as inflation ebbs. 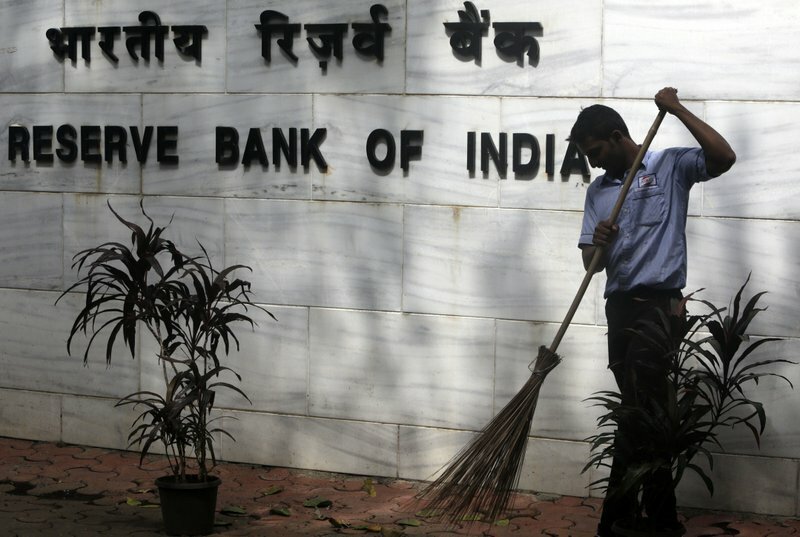 The announcement by the Reserve Bank of India on Wednesday, Aug. 2, reduced its repo rate to 6 percent.